E3: Sunday’s Winners & Losers – Ouch That Hertz! 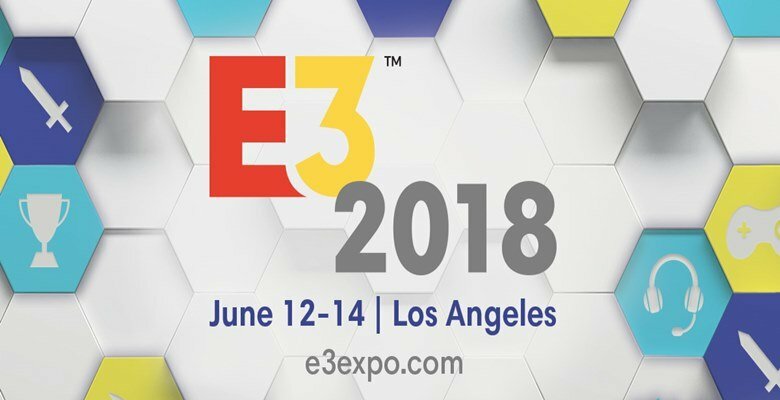 It is officially the second most wonderful time of the year: E3 week! This is a time where all gamers unite to be given presents after presents of gaming related announcements. It is also where publishers attempt to “win” E3 in gamers’ minds. With that said, each conference in itself features winners and losers. So, we will be recapping each day featuring conferences by picking our own winners and losers! Sunday brought the first meaty press conference day with Microsoft, Bethesda, and Devolver Digital. This is a double barrel win as not only did Microsoft come out guns-a-blazing with the announcement of Halo Infinite at the top of the show, but the game looks absolutely stunning. It is a major publicity win for Microsoft (who needed it) and a major win for Halo fans who have been eager for a new game. It also was the first honest-to-God loud crowd reaction of E3, which seemed to have been helped by the fact actual fans were in attendance and not just the industry people. FromSoftware just announced their brand new game, entitled Sekiro: Shadows Die Twice, but with a very drastic change: the game will be published by Activision and not Bandai Namco. Quick research shows that this is the first non-exclusive game to not be published worldwide by Bandai Namco in a decade. With the popularity of the Soulsborne genre they formed through the Dark Souls and Bloodborne games, this seems like a real lose for Bandai Namco. King Todd Howard of Bethesda kicked off the festivities by announcing that Fallout 4 was joining Game Pass right now, before being joined later in the Microsoft conference by The Division and Elder Scrolls Online. That alone is reason enough to jump on the service if you have not already done so, but then the two new FREE expansions of Sea Of Thieves, Curses Sails in July and Forsaken Shores in September, puts it as a must have. A full priced AAA game for free that is releasing continuous updates for free for a low monthly rate that includes over 100 more games. It is a win-win for everyone involved! Oh, and did I forget to mention Forza Horizon 4 ON LAUNCH DAY WITH DYNAMIC SEASONS IN LONDON?!?! Sign up now while its $1 for one month, and several stores have six months for $30 (50% off!). February/March has really turned into the second holiday season for game releases. This year of course is seeing everyone avoid Red Dead Redemption 2; however, this means we are seeing Metro Exodus, Crackdown 3, Days Gone, and Anthem seemingly all slated for the same month next year among probably more releases. Not to mention Kingdom Hearts 3 releasing at the end of January. There is only so much time and money in the world! He is a national treasure and he is all over the new Crackdown 3 trailer. That is all you need to know. Pete Hines opened the Rage 2 block with a funny joke about Walmart Canada, but it quickly fell apart from there. First there was a live performance from Andrew W.K. That was perplexing and well quite frankly perplexed the live crowd. It really left a sour note and was not what was needed in that point in time. Bethesda is better than this, or at least they are supposed to be. Not only did Microsoft announce the creation of a new studio in The Initiative, they acquired Undead Labs (State of Decay series), Playground Games (Forza Horizon series), Ninja Theory (Hellblade: Senua’s Sacrifice), and Compulsion Games (We Happy Few). This was exactly what Microsoft needed and Phil Spencer is the right man to lead this charge. This will only be good- I personally can not wait to see what the future projects will look like! Fallout 76 being solely online comes less than a year after Bethesda pleaded to the gaming community that they were still interested in presenting players with single player experiences. While they kept pushing that the game could still be played alone, the fact you must be online and will have other real players in your world makes this plea a bit hollow. The game looks amazing and is still Fallout, but if this was being worked on for four years why make the plea to single player players last year? Sunday started off strong with the Halo announcement and Microsoft just kept hitting on all points it wanted and needed to. This led to a great press conference that included not only Halo Infinite but Gears of War 5, Devil May Cry 5, Dying Light 2, and Just Cause 4 among other exclusive and none exclusive games. It was a high bar to clear, especially when they ended it with CD Projekt Red’s Cyberpunk 2077, but Bethesda just could not clear it. They have the exact opposite problem than Sony. Most of their titles are already released and instead of exciting us with reveal after reveal, they have to regularly check in on the older releases. It can be unexciting, especially during an uneventful E3 like we have trended towards this year.